20mm = .79"; H&R Hubcentric wheel spacers (pair) with 74mm center bore. 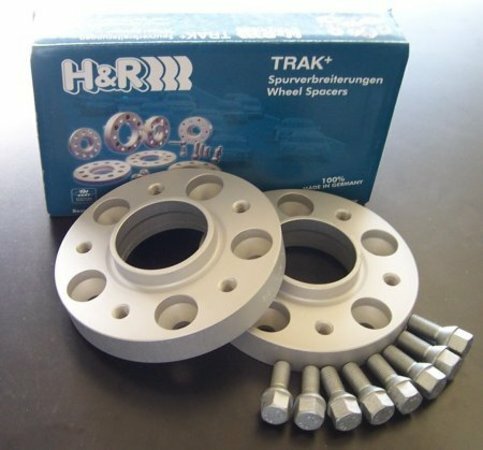 Fits over the stock BMW hub lip and includes a new hub lip for your wheel to rest on. Made in Germany and TUV approved. Longer wheel bolts included in this package. Sold as a pair of spacers with ten black wheel bolts.